By most account 2016 was a not-so-wonderful year. However, if you purchased the LG V20 when it was launched at the end of last year, then you ended your year on a high. I have been using a review unit from AT&T for a little while and being a self-confessed LG G4 fan, I must say that I am impressed with the V20. Which really confused me. Not because I wasn’t expecting to be, but because I have been reading some strange things about the device. And I figured it out. It’s all about time with the device. If you spend a short period of time with a review unit, then you get an “initial impression” which has its place. However, since the reviewer knows that the device is being returned soon, some don’t invest the time to solving so-called complaints as one would do with a device you own. This is unfair to the manufacturer and so without further ado, let me address some complaints I read online. Several complaints refer to the fact that the apps just appear on the phone’s various screens making it very cluttered. This is true, however, you can enable the app-drawer and that problem instantly goes away. I have been able to get a full day’s usage out of the LG v20 using GPS, WiFi, 4G, Bluetooth, streaming podcasts, YouTube and Pandora music. It may appear that the battery drains if you don’t enable the battery percentage indicator. hmmm the LG v20 is a large phone and the buttons and settings are easily accessible so I am not sure what they could be referring to. The LG even has Smart Settings so that you can automatically ensure the phone performs specific actions when you arrive at home, leave home, insert your earphones or when connecting to Bluetooth. Whenever I get home, the phone automatically enables my WiFi and connects to it and changes the Sound Profile to On. 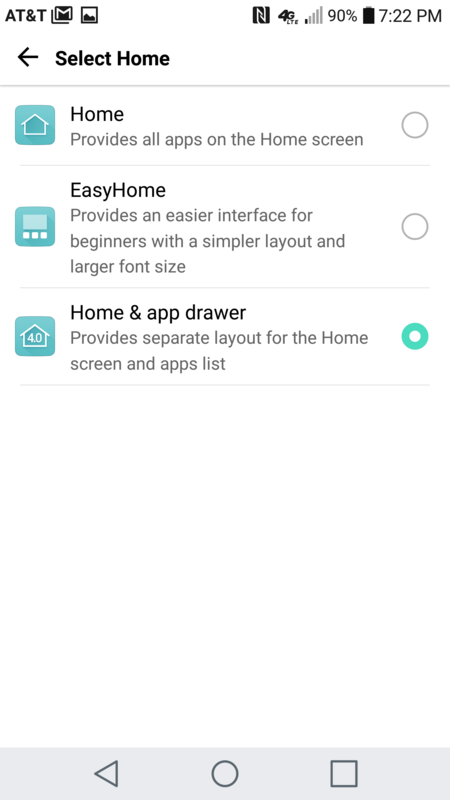 Tap on Settings, General, Smart Settings and enable the options that suit you. I beg to differ. The LG V20 has dedicated a small screen at the top of the device that allows you to quickly access your recent apps. From the locked screen, you can enable your torch and control your music too. You can customize this screen somewhat. You can add your name and choose its font and you can move around the default shortcuts that LG has set for you. 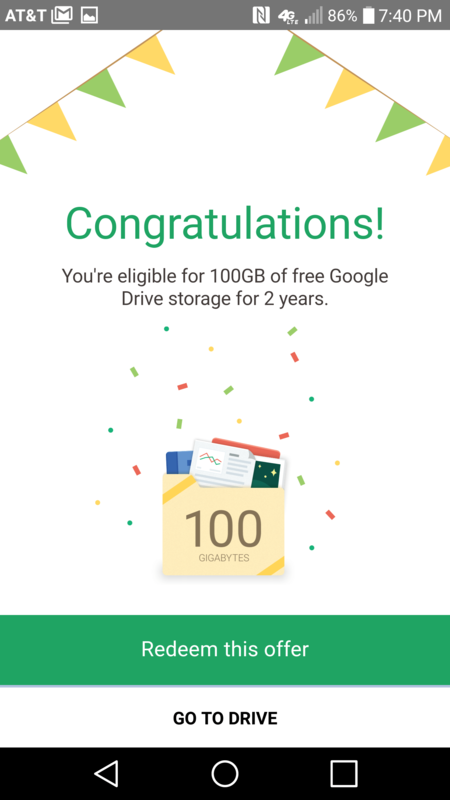 You get 100GB of free Google Drive storage for 2 years. Simply find the Google Drive app and click on Redeem this offer. 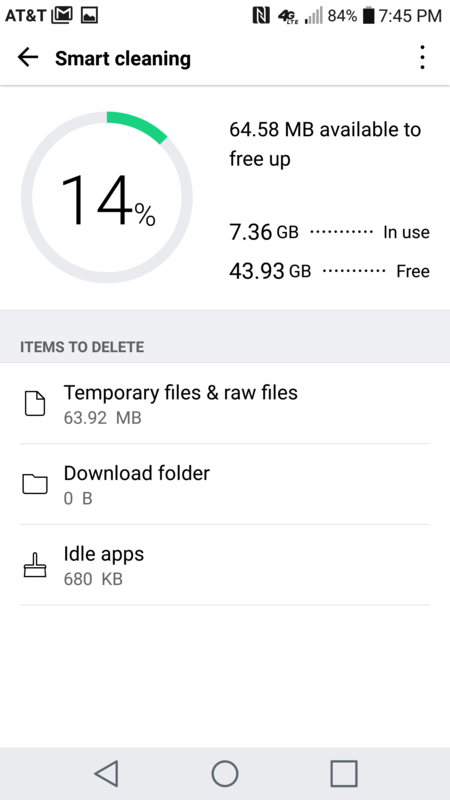 The LG V20 has the option for you to add a MicroSD card so that you can increase the storage capability. However, it also has a Smart Cleaning option which allows you to free up space at a touch of a button. One of the most underused features of the phone is that it has an Infrared blaster so when you are watching TV with your phone in your hand, you can control the TV, the air-condition, the DVD (if you still have one), the entertainment system all from the phone. 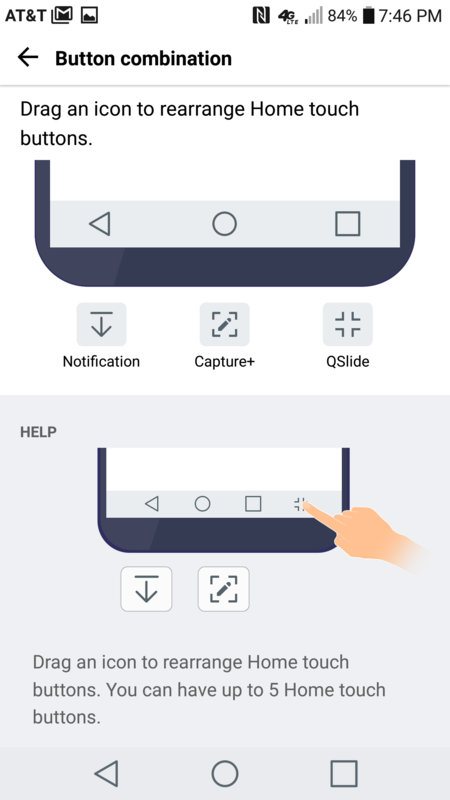 If you are used to your back, Home, Recent App buttons to be in a different position on the phone, you can customize it to your liking on the LG V20. If you are using your phone right before bedtime (and we all know that we shouldn’t), the LG has the option to reduce eye strain but remove the blue-light. 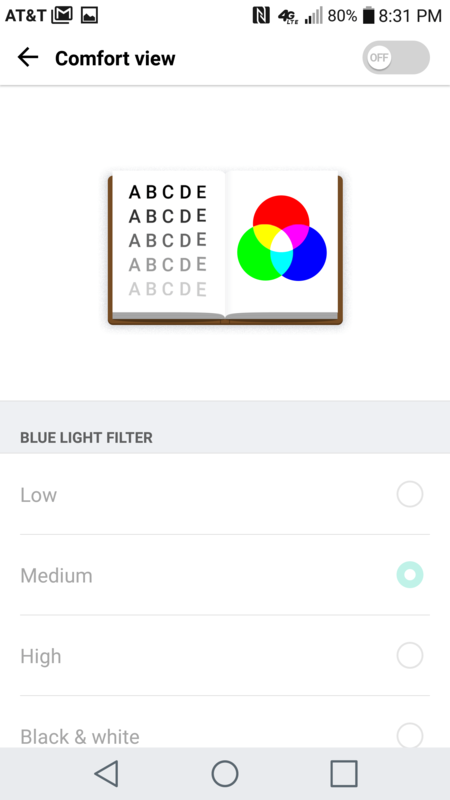 Settings, Display, Comfort View and you can set the blue light filter to low, medium or high. Further Reading: more on the LG range of phone and their capabilities?